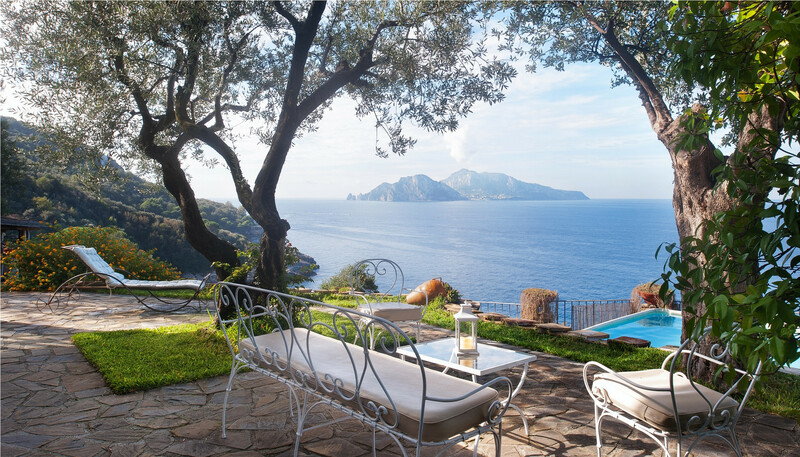 Wonderful Villa Miracapri and its amazing gardens are perched on a cliff with the most amazing views out to sea. Sleeps 6. 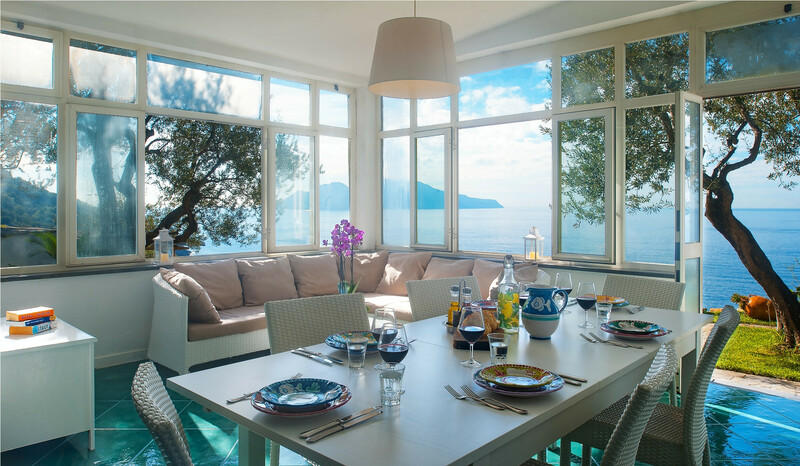 Villa Miracapri is a secluded, peaceful property perched on the cliff edge between the villages of Marciano and Punta Lagno. 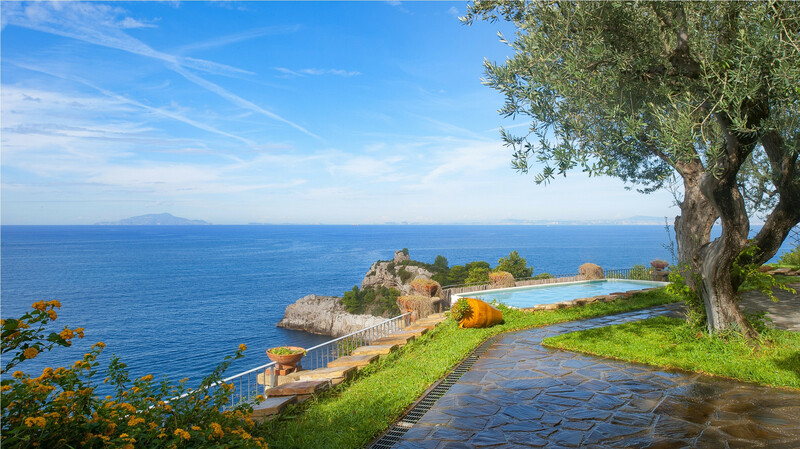 Its gardens and swimming pool are gorgeous, but its magnificent sea view is something everyone should experience. Off the main road and down a narrow track sits this lovely property. 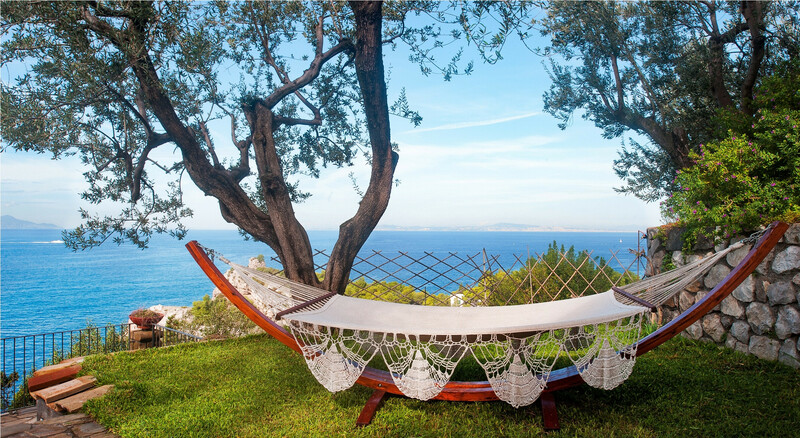 The villa itself is all on one level, simple, stylish and comfortable, but the outside really steals the show; gorgeous gardens, lovingly tended and bursting with olive trees, lemon trees and masses of shrubs and flowers; a great swimming pool and then, wow – the view! 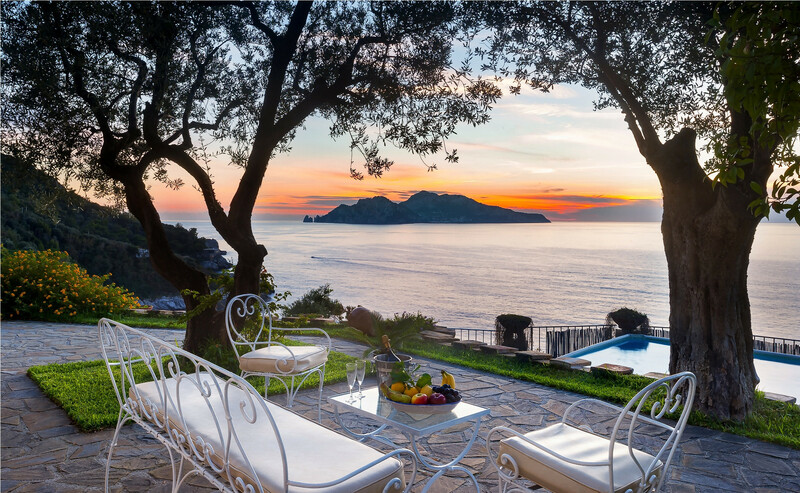 Across the bay to Capri, sparkling seas, staggering sunsets – this is truly spectacular. When you can bring yourself to go indoors, you will find a spacious property with everything you need for a relaxing getaway. 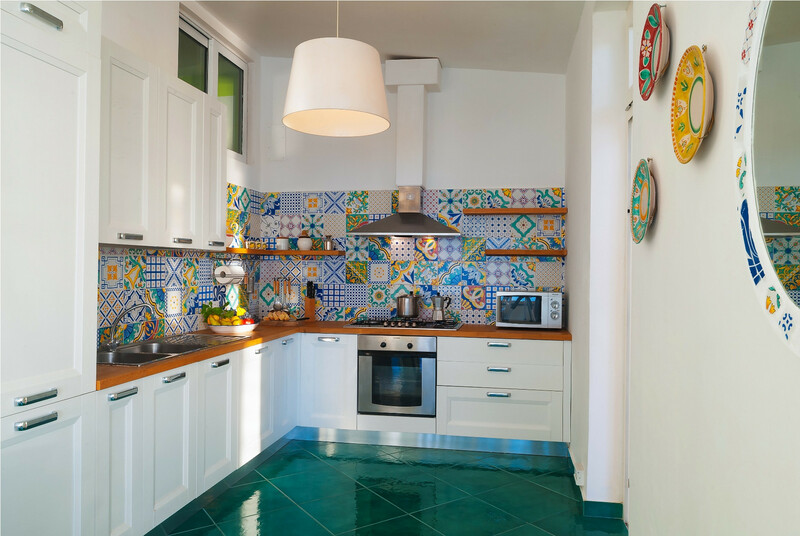 The kitchen shows off charming hand-painted tiles and is fully equipped for preparing and eating the amazing local produce. There is an oven, hob, microwave and fridge. There is plenty of space to relax in the bright, airy sun room that overlooks, and opens onto, the garden and brings the outside in. This has a large comfy sofa, a flat screen TV and a big dining table. 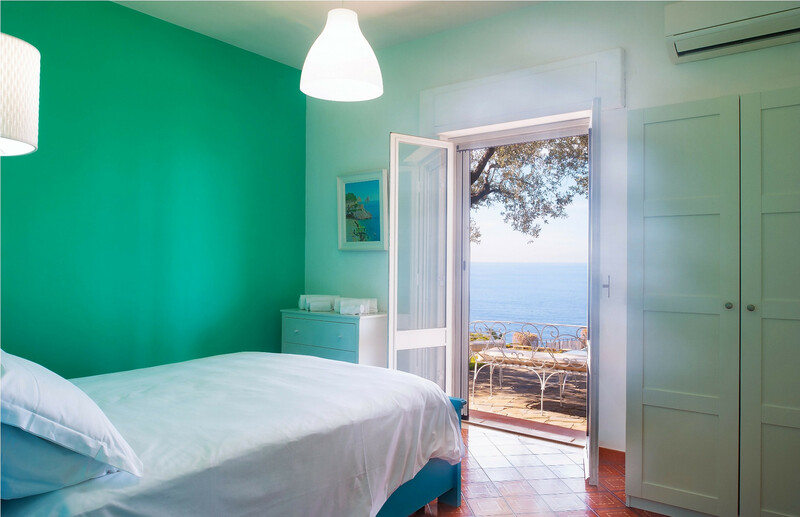 There are three prettily decorated, generous bedrooms; two air-conditioned with double beds and one with twin beds, ideal for children. 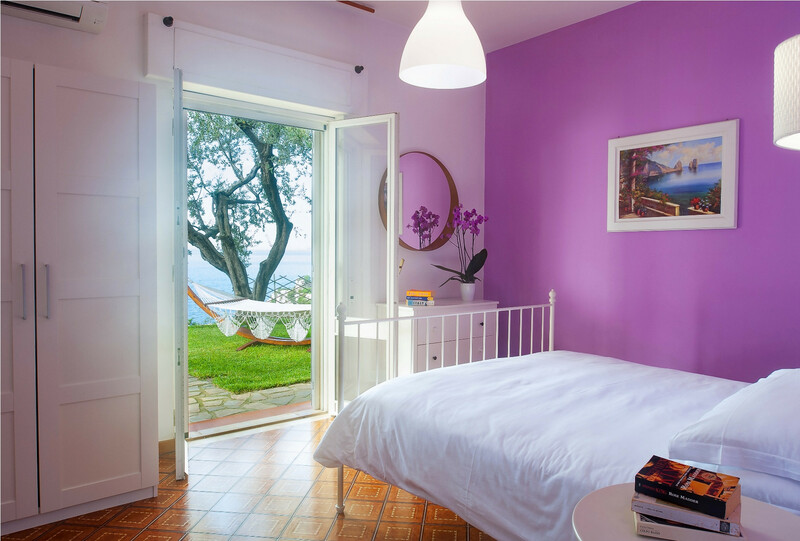 The two double bedrooms each have private access to the wonderful gardens – lie in bed and enjoy the view! There is plenty of hanging and storage space. 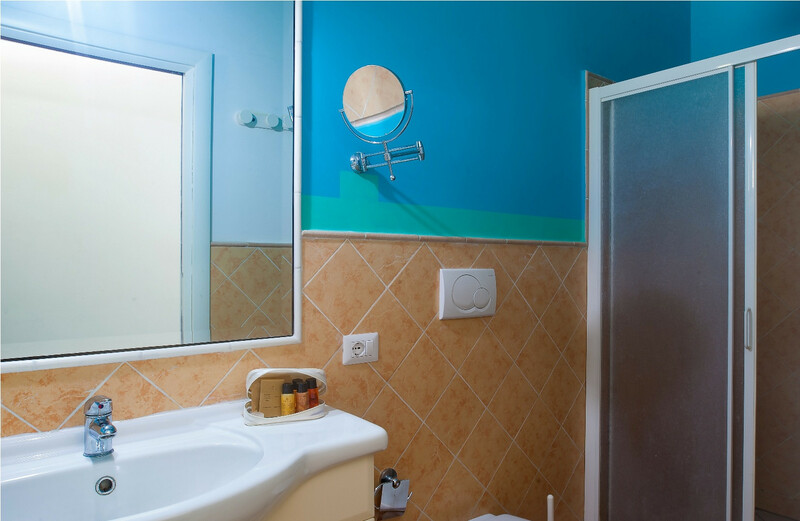 The two bathrooms are clean and bright and fitted with a shower and sink. 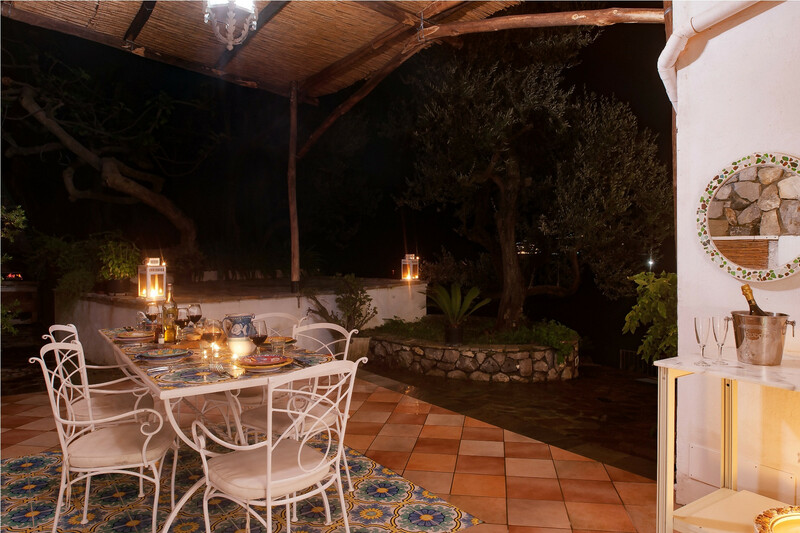 The outside is what makes Miracapri truly special and sees visitors returning again and again. 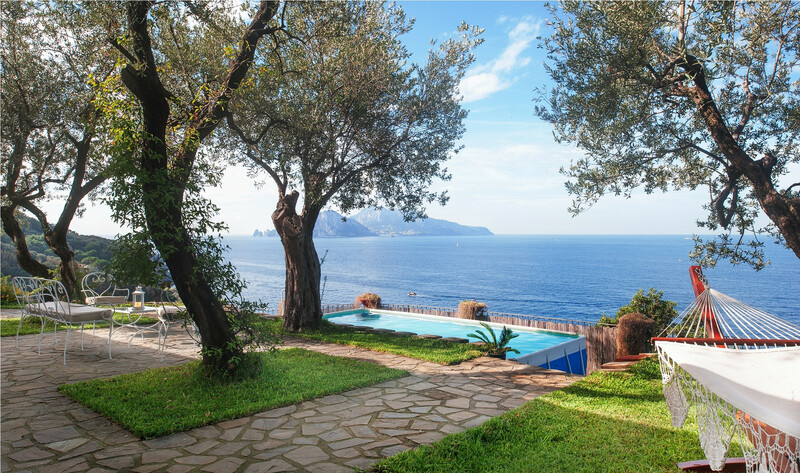 The gardens sit on the edge of the cliff and are beautifully planted with olive trees, lemon trees and flowers. At one end is a gorgeous, rustic pergola so that you can enjoy the shade, at the other a hammock is hung under a tree. In between is a super swimming pool, a patio with chairs for relaxing and a large table to eat at. All of this is positioned for you to enjoy just one thing – the view. As stunning by night as it is by day, and from every angle, it is not to be missed. MiraCapri is a short drive through beautiful countryside to the village of Marciano to the south, and the pretty town of Punto Lagno, with its harbour and small boats, to the north. The town of Massa Lubrense, known as the ‘Land of the Sirens’, is 2 km away on the coast, with scenic, pastel-painted houses perched on the cliffs and boats in the small harbour. The town offers plenty of shopping, eateries and bars, as well as interesting cathedrals and other attractions. Sorrento is a windy 9 km drive away with its narrow, cobbled streets, splendid piazzas and beautiful views over the water to Naples and Mount Vesuvius. 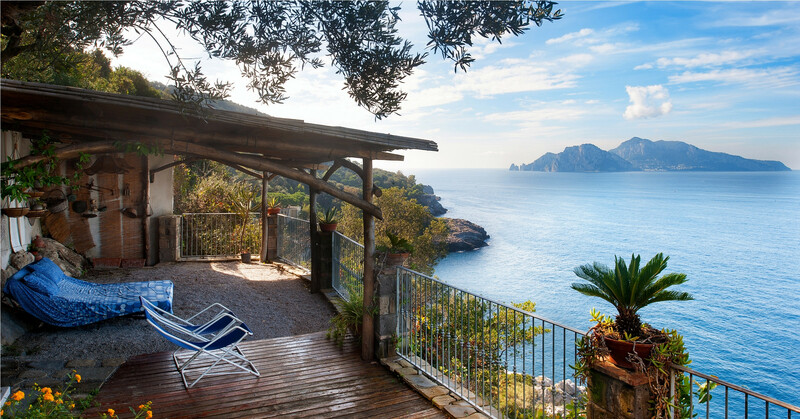 There is plenty to explore on this amazing Sorrentine peninsula; from Capri to Positano, Sorrento to Amalfi and the hiking country in between, but we think you may not be able to steal yourself away from the fantastic view! 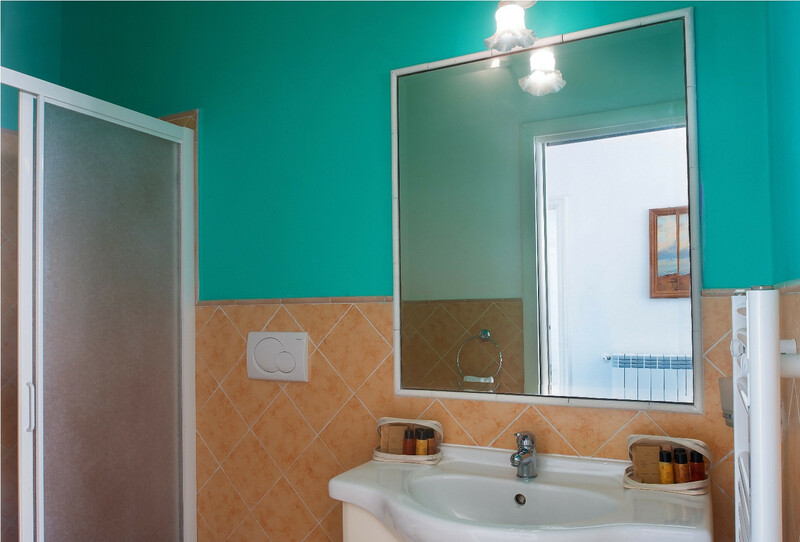 TV, TV Satellite (Languages: Spanish, English, French), garden, garden furniture, terrace, barbecue, iron, internet (Wi-Fi), hair dryer, 100 m² property, 70 m² plot, air-conditioned, private swimming pool ( opening date 1/4, closing date 1/11), Open-air parking (2 places) in the same building. Definitely recommended for all future travellers who are keen to explore Amalfitian coast.